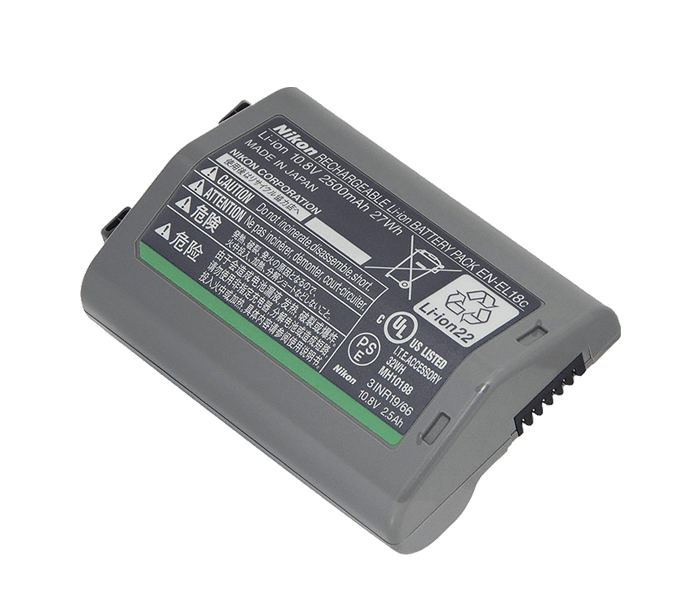 The EN-EL18c is a Rechargeable Li-ion Battery that is used to power the D5, D4s and D4 Nikon D-SLR cameras. The EN-EL18c Li-ion Battery can be charged using either the MH-26a or MH-26aAK Adapter Kit battery chargers. The EN-EL18c Rechargeable Lithium-ion Battery is also used with select Nikon cameras and Multi-Power Battery Packs, powering the cameras.